eCommerce is growing at a very fast rate every year and along with that growth, a number of abandoned carts. Cart abandonment meaning shoppers put items in their online shopping carts but then leave before completing the purchase. This means that your e-commerce site is losing sales revenue from cart abandonment. Approximately $4 trillion worth of merchandise will be abandoned in online shopping carts just this year according to a report by BI Intelligence. The number of shopping cart abandonment is increasing because more consumers and people, in general, are making the shift to online and mobile shopping. One thing to keep in mind is that an abandoned cart doesn’t automatically mean it is a loss. It’s important to know because three-fourths of shoppers who have abandoned shopping carts say they plan to return to the retailer’s website or store to make a purchase, according to data from SeeWhy. So if you have a brick-and-mortar store or physical store, an abandoned cart isn’t the worst thing. If you are an online-only store then you have fewer channels to recover the lost sale. That is more of a real loss than if you had a brick-and-mortar. One way to increase the conversions, or safe those abandoned carts, is to use Facebook Ads. In another post, I talked about the ways to get the most of Facebook Ads in general. 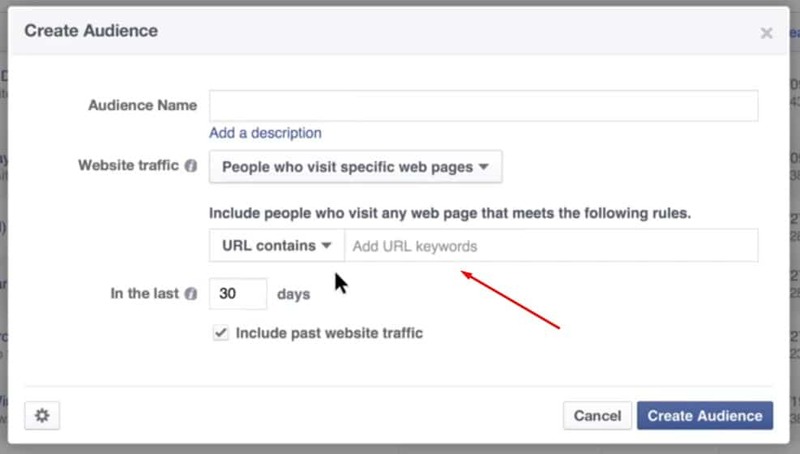 This Perspective will focus on how to use Facebook targeting and pixels to target those who went to your e-commerce site, put items in their carts, but did not purchase. Let’s start with the Facebook Pixel, it plays a very important role in targeting those consumers who abandoned your cart. In this Perspective, I will only talk about how you can use it for remarketing. If you’d like to learn about how it can be used for conversion or optimization, tweet us @luccaallamoda or let us know on our Facebook page. The pixel can be used to remarket to everyone who visits your site, or just to people who visit specific pages or take specific actions. You must install the pixel on your website on the pages you would like to receive information from. If you already have a pixel then you know what to do! If you haven’t installed one, you’ll need to work in collaboration with your web developer to install it properly. Once the pixel is installed, head over to the audience creation of the ads manager section. Once there you name your audience. In this case, it’s Abandoned Shopping Cart. Then toggle the drop-down menu to display the options from where you can target people according to website visits. In this section, you would add the URL that shows the cart to the consumer. You can change the number of days up until 180 as well. Click on Create Audience and you have created an audience based on the people who have visited your cart. Now you can create an ad just for those people. Then you decide what the outcome you want the ad to have which would be website conversions. Then the conversion pixel comes into play. You want to know if your ad has actually worked by not only sending people to your page and going to the last step of the purchase funnel. With the pixel placed, you can create ads for the items that are mostly abandoned in your cart or a simple percentage off so that they return to the cart and finish the purchase. The copy needs to be specific for those abandoned carts. Variations of the same ad will help to see what best resonates with consumers and then you can do the same for other ad campaigns in the future. You can use this same method to target other parts of your e-commerce website or different types of people who visited some parts of your website but not others. This is one way to recover those abandoned carts and see who is abandoning and what products you should consider having a promotion on. Use the best performing ads and optimize them, and repeat until whenever you decide to be done with the retargeting!